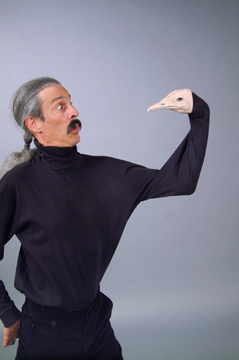 Henry Lappen has been performing and teaching for over 30 years. He has studied nature since childhood and has worked as a physical comedy entertainer for most of his adult life. In his programs, he combines his love and knowledge of the natural world with his skill in comedy. Henry studied mime and mask at the Dell'Arte School of Physical Theater in California. When not performing, he can be found making maple syrup, planting trees and dancing tango.